The ball has dropped, the confetti has been swept out of Times Square, and 2018 is in the books. It’s time to look back and take stock of what we learned from and about OSHA over the past year. More importantly, it is time to look ahead to what we can expect from OSHA as we transition to the out years of President Trump’s first term. This webinar reviewed OSHA enforcement, rulemaking, and other developments from 2018, and discussed the Top 5 OSHA Issues employers should monitor and prepare for in the New Year. The January 15th webinar was the kickoff webinar event in Conn Maciel Carey’s 2019 OSHA Webinar Series. Click here to view the full schedule, detailed program descriptions, and individual registration pages for our remaining webinars in the 2019 OSHA Webinar Series. To register for the entire 2019 series, click here to send an email request, and we will automatically register you. 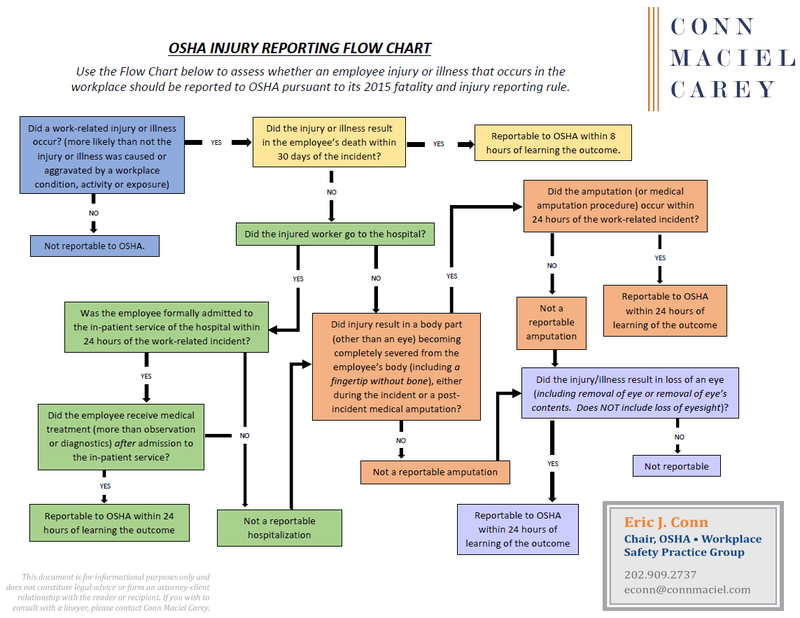 If you missed any of our webinars from past years’ OSHA Webinar Series, here is a link Conn Maciel Carey’s webinar archive.